Benjamin Graham taught that Intelligent Investors must do a thorough fundamental analysis of investment opportunities to determine their intrinsic value and inherent risk. This is best done by utilizing a systematic approach to analysis that will provide investors with a sense of how a specific company compares to another company or by reviewing the 10 Most Undervalued Companies for the Defensive Investor – August 2015. By using the ModernGraham method one can review a company’s historical accomplishments and determine an intrinsic value that can be compared across industries. 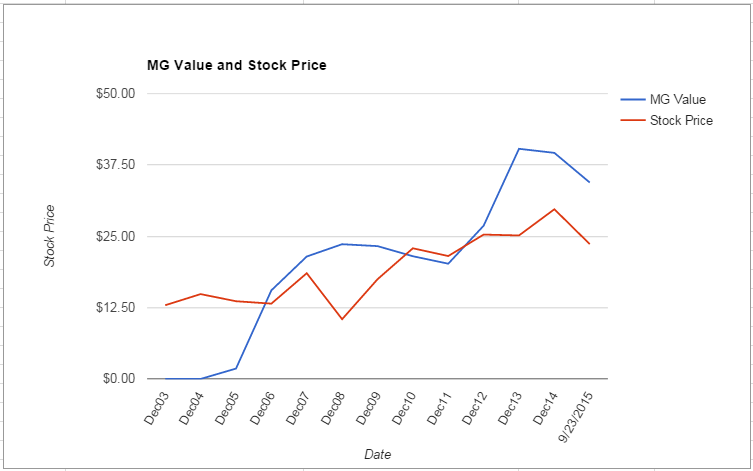 What follows is a stock analysis showing a specific look at how EMC Corporation (EMC) fares in the ModernGraham valuation model. Company Profile (obtained from Google Finance): EMC Corporation (EMC) is a service provider to information technology (IT) operations to an as a service model (ITaaS). It develops, delivers and supports the IT industry’s range of information infrastructure and virtual infrastructure technologies, solutions and services. EMC manages the Company as part of a federation of businesses: EMC Information Infrastructure, VMware Virtual Infrastructure and Pivotal. EMC Information Infrastructure business consists of three divisons: Information Storage, Enterprise Content Division and RSA Information Security. EMC Information Infrastructure provides a foundation for organizations to store, manage, protect, analyze and secure quantities of information. VMware develops and markets its product and service offerings within three main product groups: Software-Defined Data Center, Cloud Services and End-User Computing. Pivotal’s three offerings include the Pivotal Big Data Suite, Pivotal Labs and Pivotal Cloud Foundry. EMC Corporation is not suitable for the Enterprising Investor or the more conservative Defensive Investor. The Defensive Investor is concerned by the low current ratio and short dividend history, while the Enterprising Investor is concerned by the level of debt relative to the current assets. 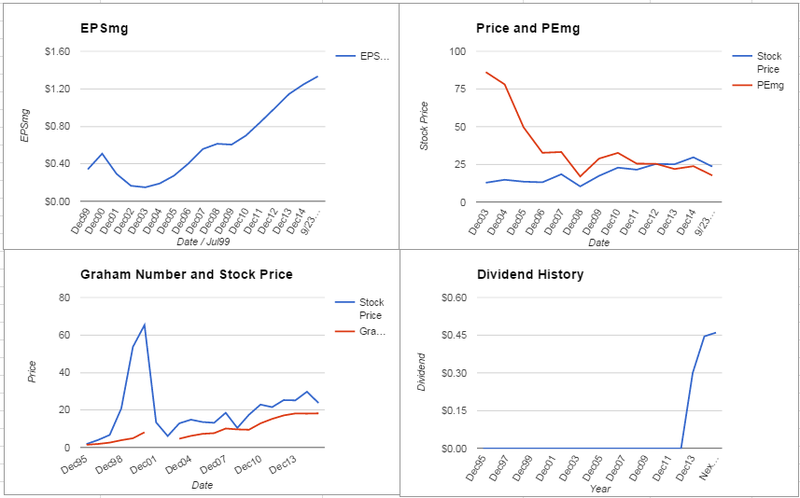 As a result, all value investors following the ModernGraham approach based on Benjamin Graham’s methods should explore other opportunities or proceed with a cautious speculative attitude. As for a valuation, the company appears to be undervalued after growing its EPSmg (normalized earnings) from $0.84 in 2011 to an estimated $1.33 for 2015. This level of demonstrated earnings growth outpaces the market’s implied estimate of 4.62% annual earnings growth over the next 7-10 years. As a result, the ModernGraham valuation model, based on Benjamin Graham’s formula, returns an estimate of intrinsic value above the price. The next part of the analysis is up to individual investors, and requires discussion of the company’s prospects. What do you think? What value would you put on EMC Corporation (EMC)? Where do you see the company going in the future? Is there a company you like better? Leave a comment on our Facebook page or mention @ModernGraham on Twitter to discuss.